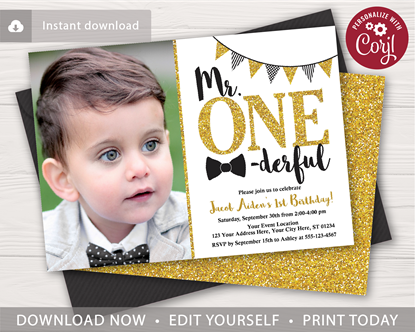 This editable and printable Mr. ONEderful 5x7 invitation is perfect for a boy's first birthday party themed in navy, baby blue, and silver! 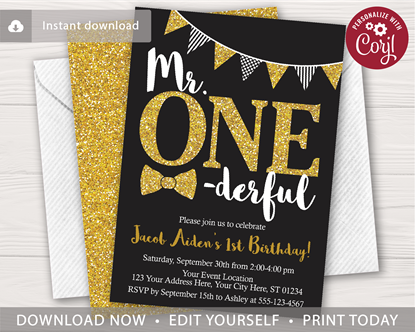 This editable and printable Mr. ONEderful 5x7 invitation is perfect for a little boy's first birthday party themed in black and gold! 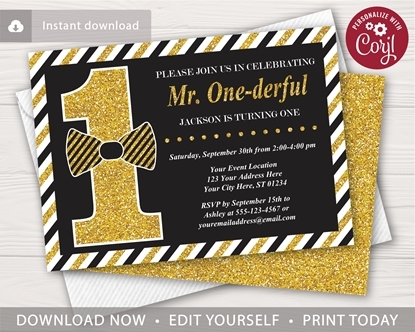 This editable and printable Mr. ONEderful 5x7 invitation is perfect for a boy's first birthday party themed in black and gold! 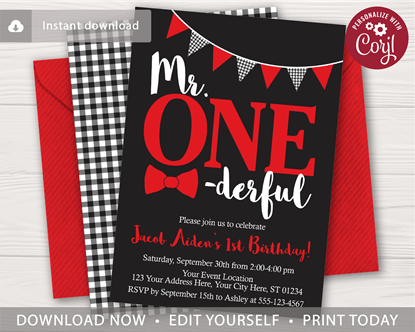 This editable and printable Mr. ONEderful 5x7 invitation is perfect for a little boy's first birthday party themed in black and red! 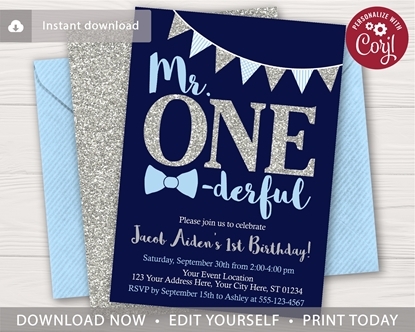 This editable and printable Mr. ONEderful 5x7 invitation is perfect for a little boy's first birthday party themed in navy, silver, and baby blue! 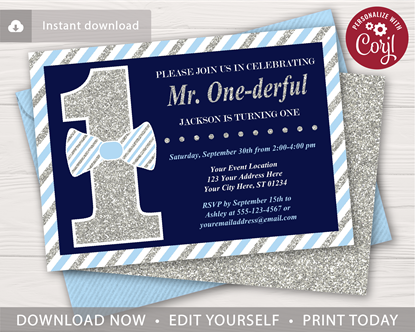 This editable and printable Mr. ONEderful 5x7 invitation is perfect for a boy's first birthday party themed in navy, baby blue, and silver! The invitation is available to download immediately after purchasing. Edit online with Corjl.com using your computer, phone, or tablet. No software is required. You can print, text, email, and share on social media with your guest!